For those international students who love science and math, studying agriculture may be the right degree for you. Agriculture teaches students the principles of farming, ranching, and other agricultural practices. Interested in learning about animals, plants, and soil? Read on to see if a degree in Agriculture is right for you. Agriculture, farming, cultivation, crop growing, gardening; these words describe the word agriculture but not how it is viewed in today’s modern times. 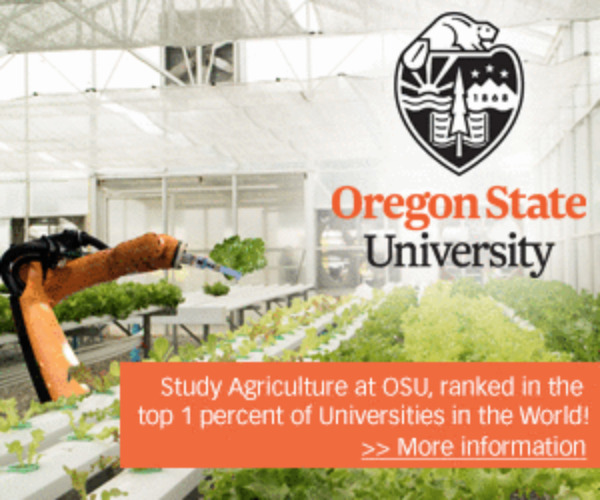 Why study agriculture? Agriculture is an ancient practice and key to sustaining human development on planet Earth. Today, the way we go about agriculture has changed dramatically with the introduction of technology that has revolutionized production and distribution. If you are looking for a career that touches all disciplines, including science and math, in a fast paced environment that will touch people’s lives around the world, a degree in agriculture might just be for you! The importance of agriculture in today’s world is critical. Much of the world still relies heavily on what we produce from the land, and as development throughout the world continues, so will demand. The introduction of technology has reshaped much of the industry which is constantly advancing the way we farm around the world. Studying agriculture in the US means that you’ll be working in an important industry that is both considered to be fast-moving and high-tech. Courses in animal science, food production, horticulture, property management, environmental preservation and zoology are all areas explored within agriculture. Since these fields are so vast, students will find a number of career paths which exist in any one field. Whether you are looking to get more into the sciences – and study biology, physics, and chemistry – or if you are looking to get into the business side – whether that’s finance or management - there are so many options available to graduates. If you are planning to study agriculture, then you must love science. Science is a systematic knowledge of the physical and material world gained through observation and experimentation. International students that have enjoyed their high school science classes and look forward to delving into the sciences in more detail might just find that a degree in agriculture is the best choice for them. Science has a system or method in which to follow, step A to B and so forth. Systematic thinkers are the most adapt to science since they already think in steps and provide logic to their reasoning. An agriculturist needs to be able to find a problem, create a plan, develop a method, execute and test the plan, and have the patience and dedication to carry through the process. Although all agriculturalists interact with science every day, not all agriculturalists work in laboratories. Instead, you may find yourself as a farmer working on the land or a researcher developing a high quality grain or perhaps creating prevention to a pest. No matter where you may find yourself after graduation, studying agriculture will require in-depth science classes that must be taken in order to graduate. Are you a mathematical person? Math and science go hand in hand with the use of equations and variables. Without math there would be not science and without science there would be no math. To be successful in the study of agriculture you need to have a way with numbers. Mathematics for Agriculture includes arithmetic, statistical interpretation, and algebraic concepts. Whether you are collecting and analyzing data, optimizing the conditions for plants to grow, or determining the amount of yield you want to produce, mathematics can be found throughout the field of agriculture and the required coursework. So, is a degree in agriculture right for you? Whether it’s the land, water, or soil that interests you, studying agriculture means that you will be working on some of the world’s toughest challenges including overpopulation and food shortages that is a global concern getting more and more attention. International students will find themselves learning about the very basic needs of human wants, including food, water, energy, and environment preservation. This will be a chance to work closely with nature and technology, to gain in-demand skills, and to work globally to bring resources to people around the world. Learn more about studying agriculture in the USA by reading our growing article collection. « Study Guide by Subject	« Study Agriculture in the U.S.